Product #18492 | SKU CBL-SGL-BNC-HIRO-36 | 0.0 (no ratings yet) Thanks for your rating! The 3ft Composite BNC to Hirose Adapt Cable from Small HD is a breakout cable designed for use with the DP7-PRO. This cable will allow you to use your composite camera with a BNC connector with the DP7 PRO. The Hirose connector will lock into the Hirose connector on the side of the DP7. 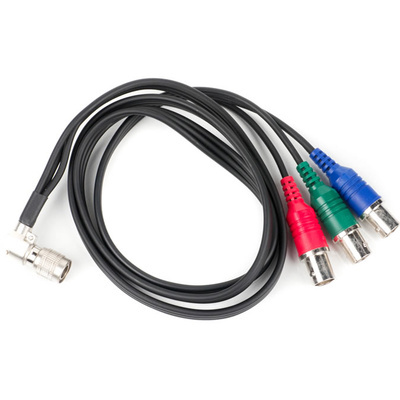 You will then be able to use the green BNC connector for composite BNC video.